Holt Lunsford Commercial is founded on eight important values, and we believe they are the key factor in how we outperform the competition. This sets us apart as the region’s premier commercial real estate service provider. 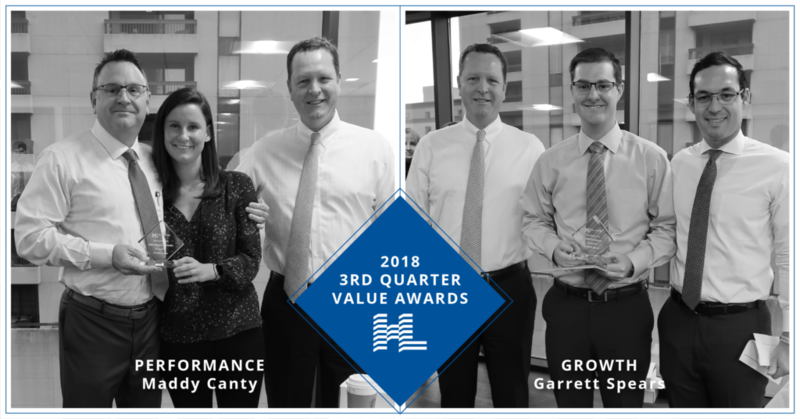 CONGRATULATIONS to the recipients of our 2018 3rd Quarter Value Awards! Financial rewards tie to performance. Our culture will promote and reward spiritual, personal and vocational growth. Congratulations to our 2019 D CEO Power Brokers!